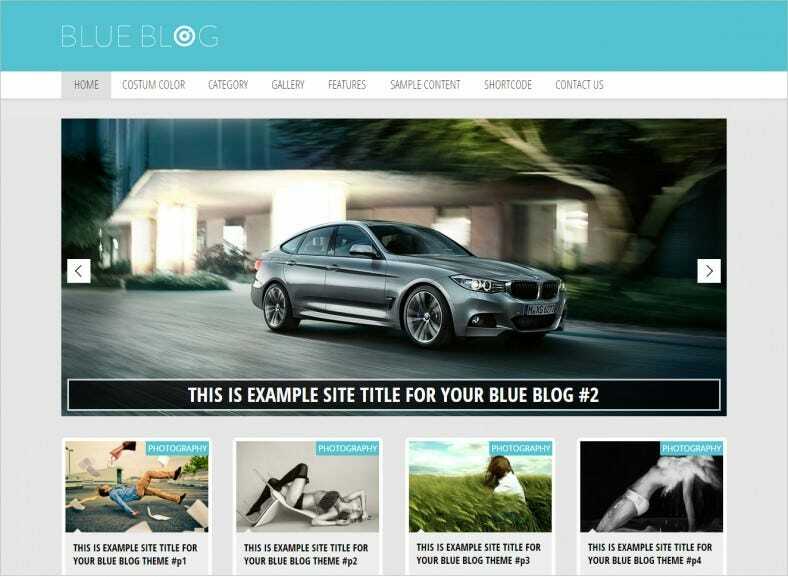 Convey trust, loyalty and faith to your target customers through blue blogger templates. These themes produce a calming effect just like when one looks towards the sky or sea. Free example templates are available here and you can download them without spending anything. Use the eye catchy layouts from the most popular 3 column blog templates and leverage this collection of templates is effective in showing that you are intelligent, wise and confident and customers can get depth and stability from your business. 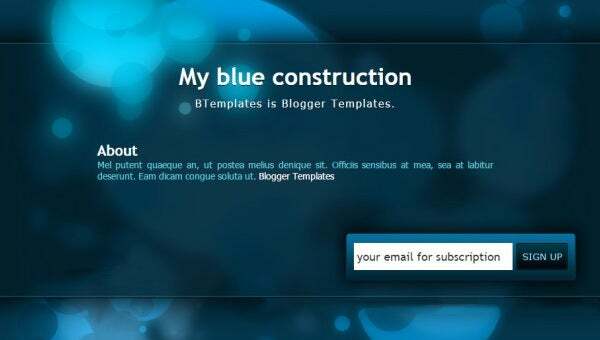 These premium quality blue blogger themes provide the best commercial value as it incorporates all the latest features. They have cross-browser compatibility and built-in control panel. This enables to update the settings with ease. They are responsive mobile ready and quick start. Everything is ready with them, just put in your professional information and you are ready to go. 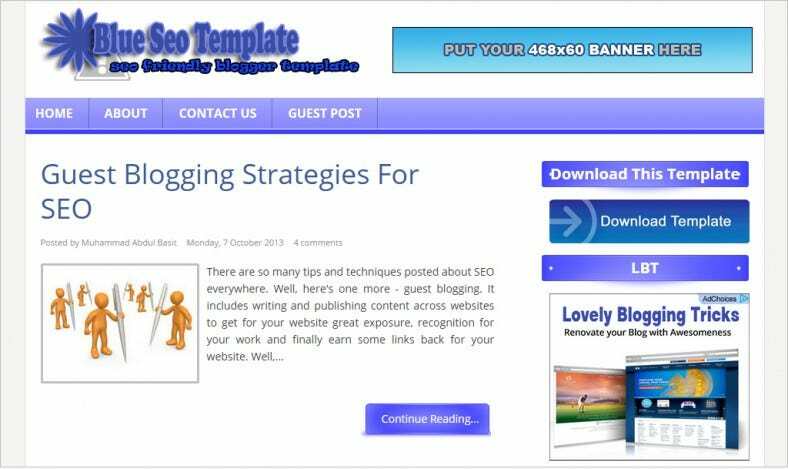 These blue blogger layouts have search engine optimized designs. 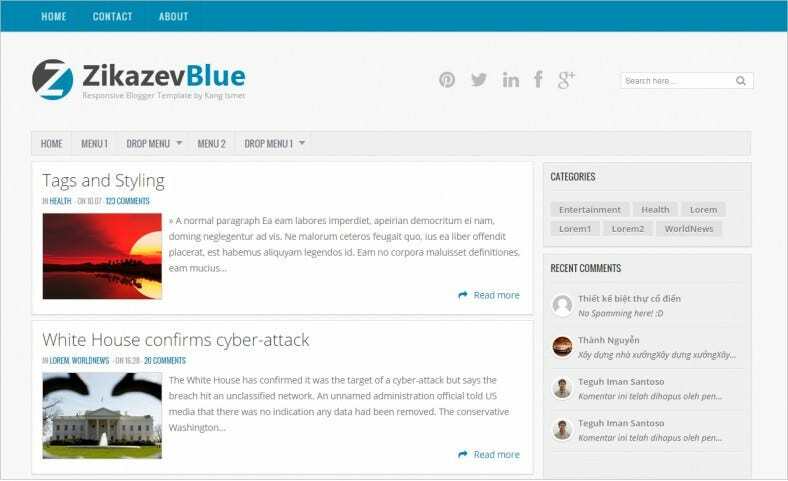 This blue blogger template not only has a responsive layout, it also has crossbrowser compatibility and a built-in control panel. 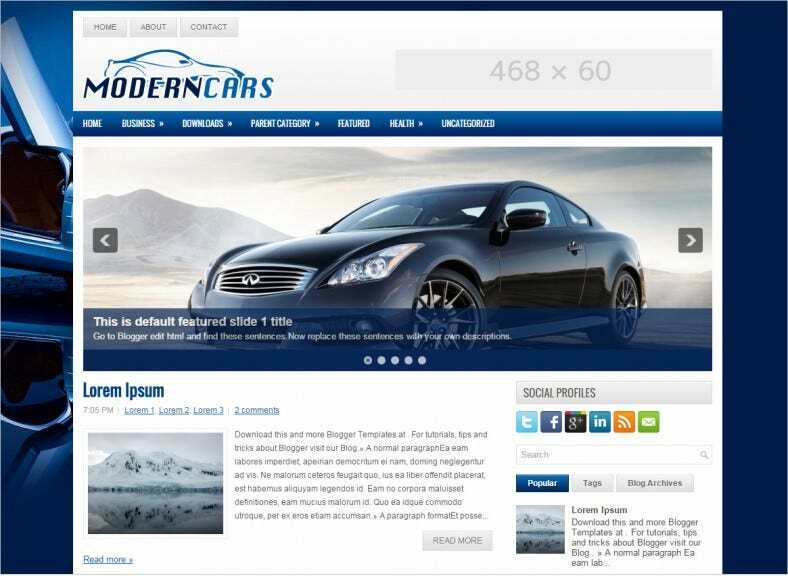 The multiple page layouts is easily customizable and has a built-in contact form and drag/drop content. 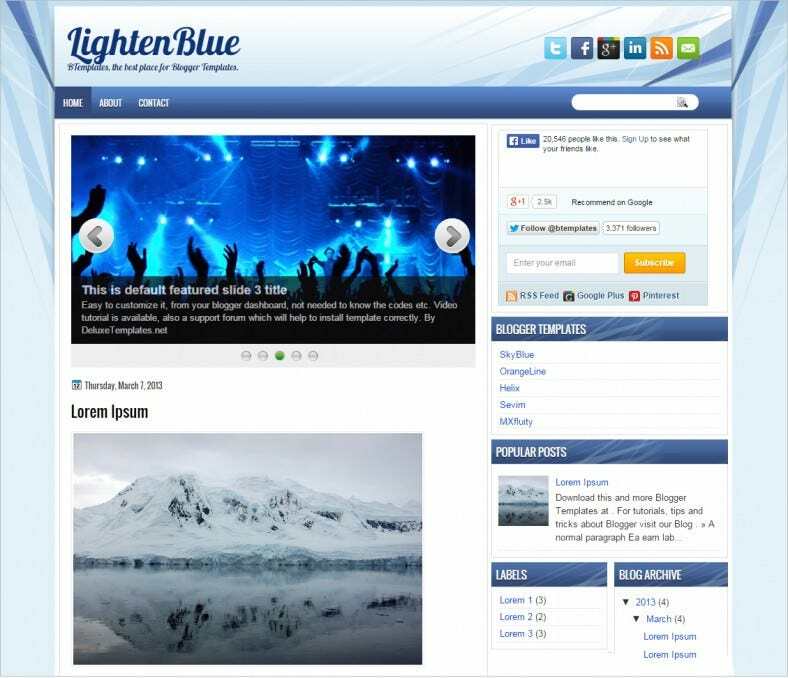 The LightenBlue is a free blogger template with all the premium qualities which include header images, footer columns, right sidebars, social sharing widgets, cross-browser compatibility and vectorial elements. This magazine styles blue-grey template has the advantage of adding personal pages. The template is always social bookmarking ready and has dropdown menus. 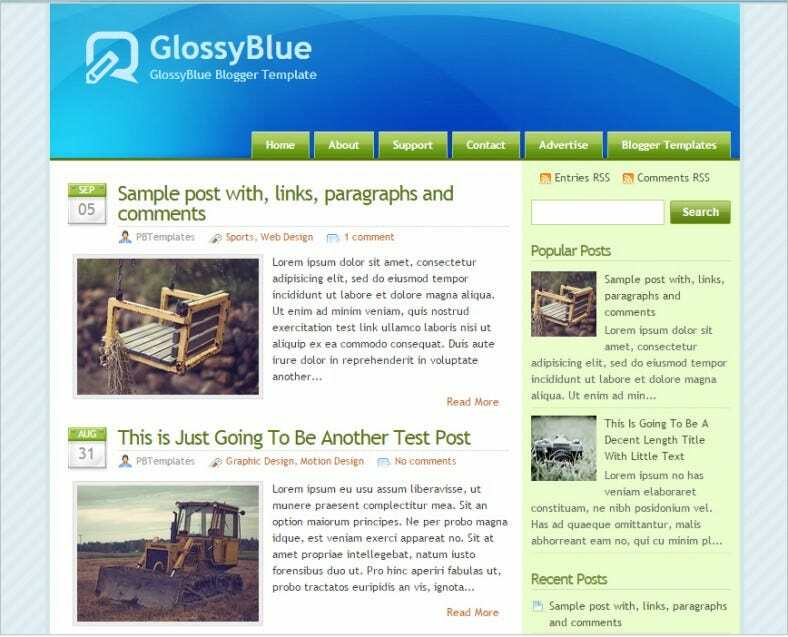 The editable layout includes 2 columns, sidebars and footer content area. 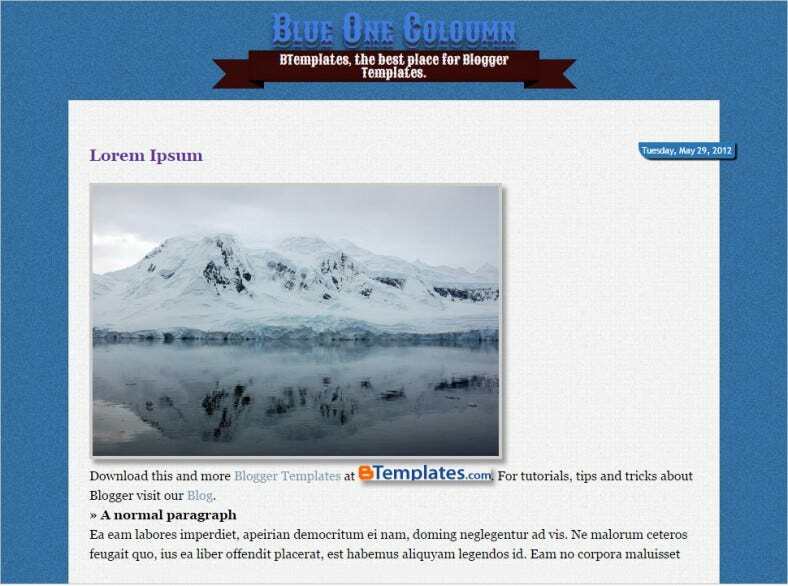 As the name states, this one is a unique one column blogger template in azure which vows on neat, simple delivery of your content. You can include post thumbnails, categorize your content and include footer regions by virtue of flexible nature. This vivacious blue template has a multiple page layout with a right hand sidebar and search section. The posts come with editable thumbnails and snippets in categorized order on the neat homepage. 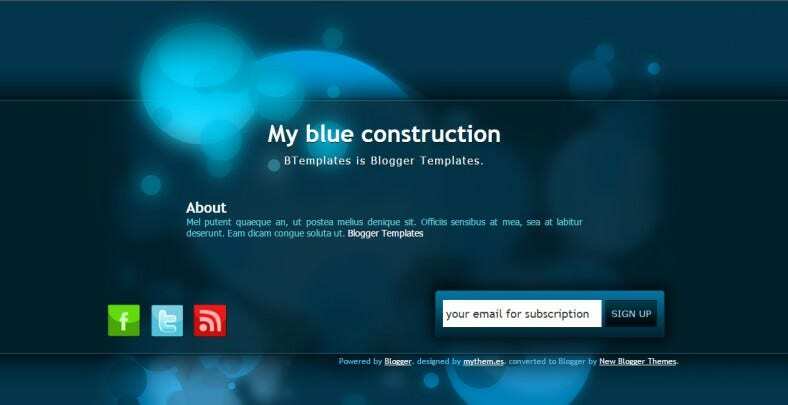 One of the very few blogger templates that have been adapted from WordPress. This has one column, integrated social sharing widgets, search options, sidebars and footer content as well.